This is a cool looking piece! 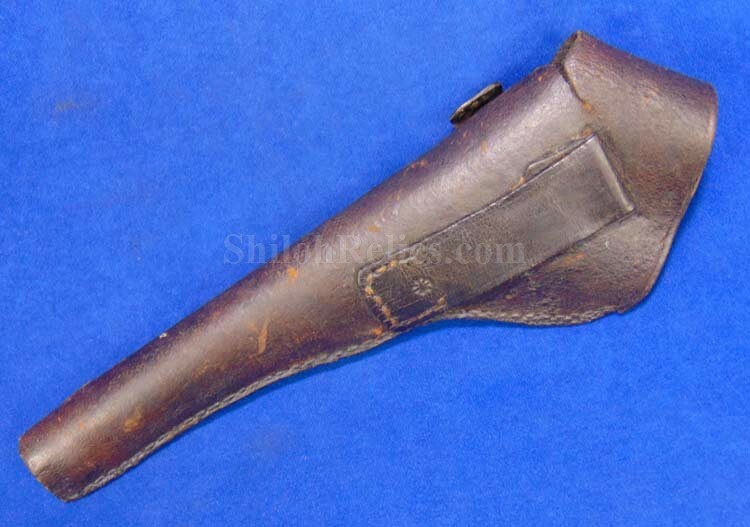 It is the belt holster for a Civil War era Smith & Wesson .32 caliber revolver. 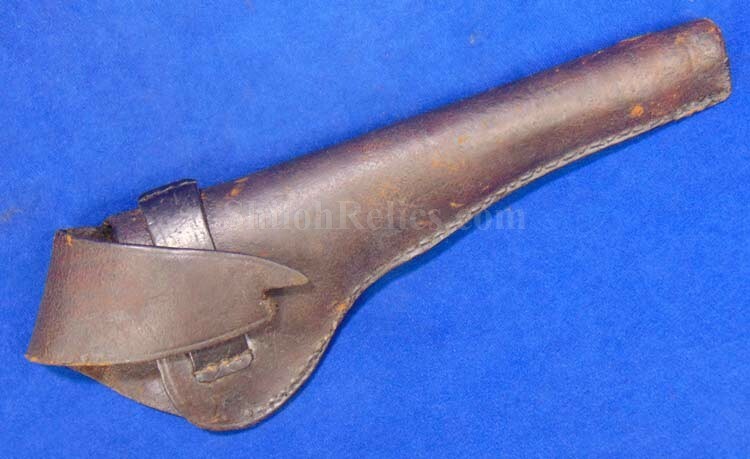 This is the style gun that is known to collectors as the Smith & Wesson Army model. 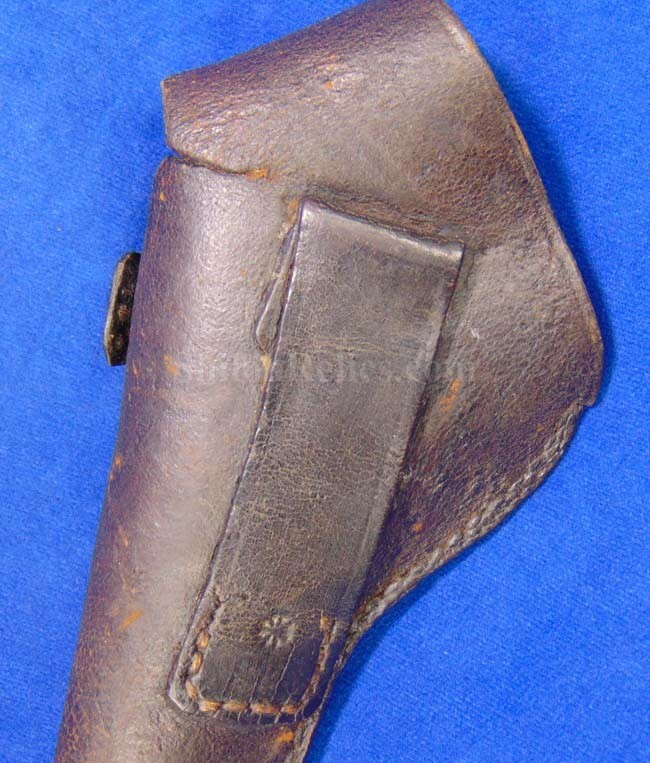 The holster is the version that was the simple leather closure flap. 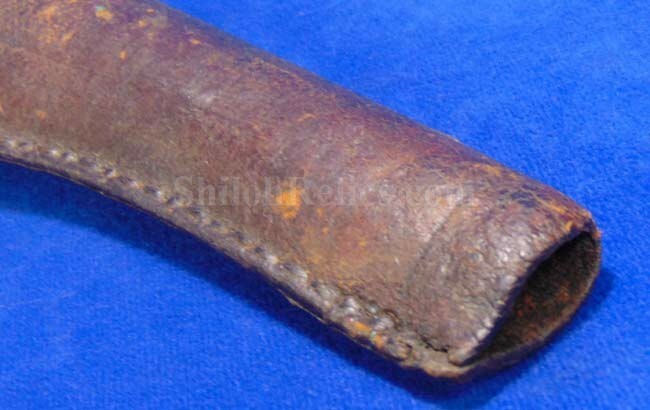 The strap slips into a leather piece that is still present but is separated on one side. 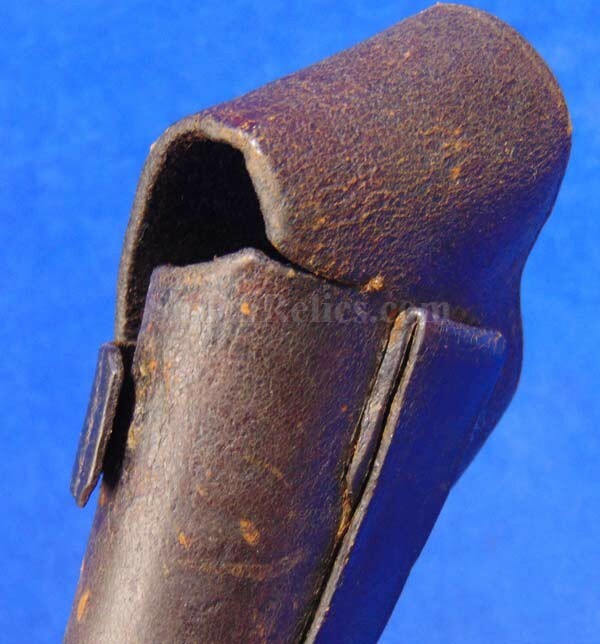 You often hear this style referred to as a "Slim Jim” holster. 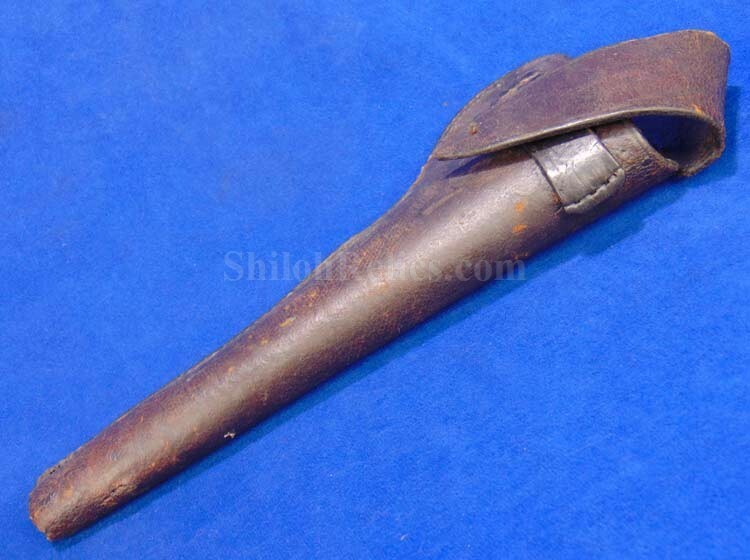 This one is designed to fit the standard 6 inch barrel length gun which is the most encountered version. 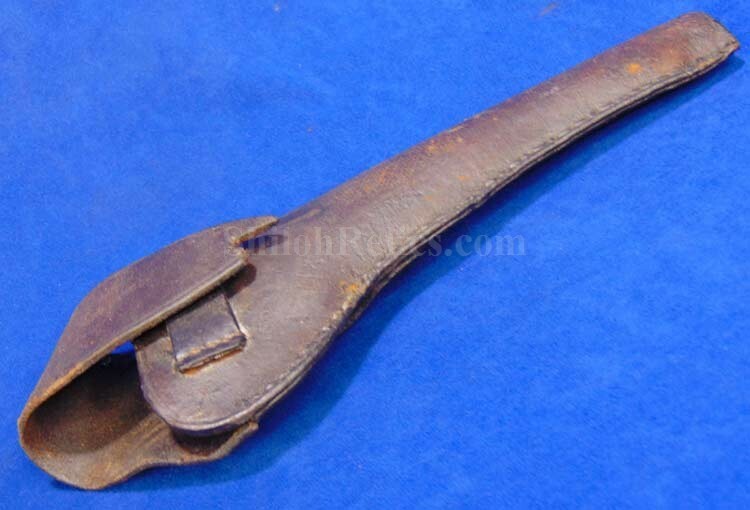 On the back of the leather it has the original belt loop intact and is nice enough to go back onto a belt today. The gun illustrated in the holster is for sale but not included in this price. 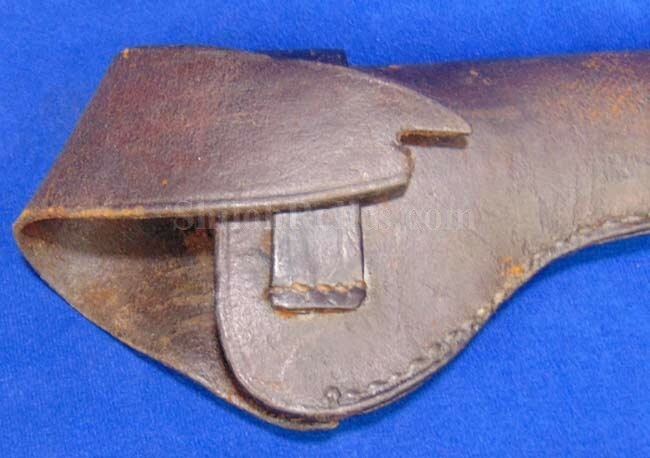 This is a fine holster for your 6 inch barreled Smith & Wesson revolver.